ResponseCard LT is the latest cost-effective clicker. LT utilizes the same, reliable radio frequency technology as standard clickers, but has been reengineered to incorporate cost reductions that ensure reliability of response transmission in a durable, compact case. Optimized for any size presentation environment, ResponseCard LT operates on patented two-way RF technology. An LED light on the clicker indicates that responses have been received. 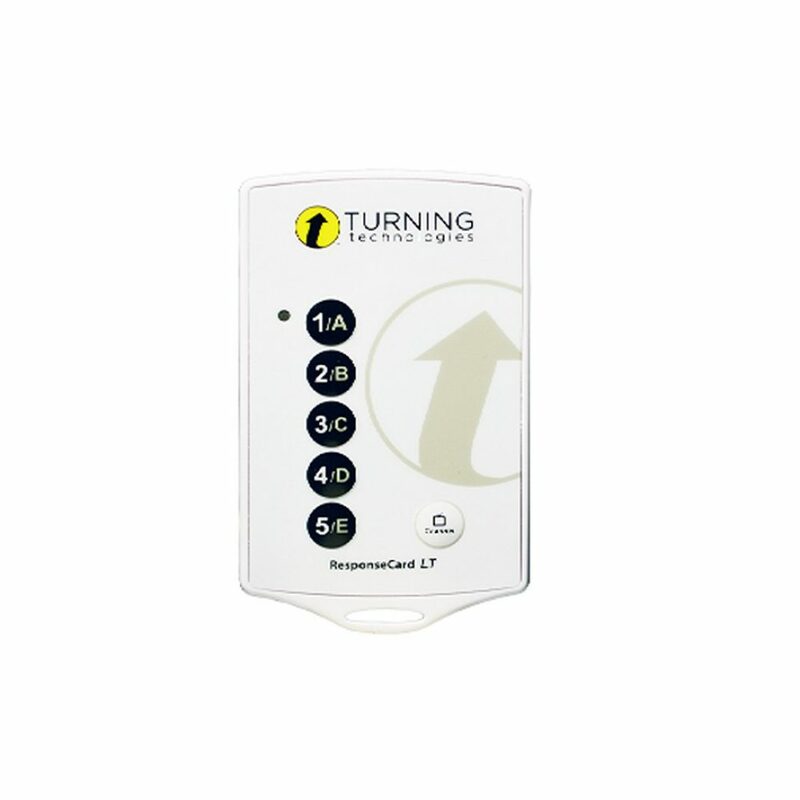 ResponseCard LT features a simple, five button input to facilitate easy participant responding. Its compact size makes LT easy to transport and equip in any environment.